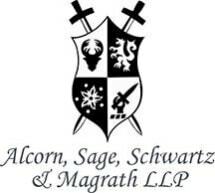 At Alcorn, Sage, Schwartz & Magrath LLP, in Madison, Indiana, we are fully prepared to help you achieve the positive results you expect and deserve for the serious and complex legal challenges affecting your life, your family, your freedom and your future. Unlike other legal practices in the region, we pride ourselves on the personalized, compassionate counsel we provide to all we serve and the aggressive approach we take to pursuing the most favorable outcome on our clients' behalves. As evidence of our success, our law firm has grown to include three offices in southern Indiana and northern Kentucky, each providing convenient access to the highest level of representation possible, and we have received many positive reviews and referrals from past clients fully satisfied with the level of service and support we provide. To find out more about how Alcorn, Sage, Schwartz & Magrath LLP, can best serve your needs while helping you secure a brighter future for yourself and your family, you can contact our Madison law office to schedule a free initial consultation.